Brazilian authorities issued an Emergency Airworthiness Directive (EAD) regarding a brake assembly inspection for Embraer Phenom 300 jets. 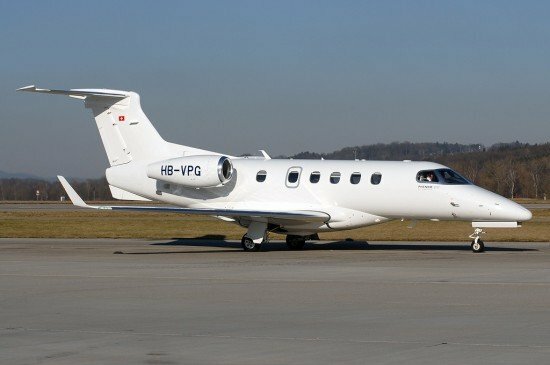 The Brazilian civil aviation agency Agência Nacional de Aviação Civil (ANAC) issued an Emergency Airworthiness Directive to inspect Embraer EMB-505 Phenom 300 corporate jets. Embraer learned that cracks could occur in the stator pressure plate of the brake assembly of an airplane. This may lead to loss of brake parts on the runway, and to a reduced airplane brake capability with a possible runway excursion event. The EAD calls for inspection of the airplane before the next flight after the effective date of the AD, which is September 26, 2013. The AD does not state if the cracks were discovered during routine maintenance or during examination following a recent incident. On August 5, 2013, for instance, a Phenom 300 suffered a runway excursion on landing at Minneapolis-Flying Cloud Airport, MN (FCM).